There are different nail designs for any season as well as holiday. 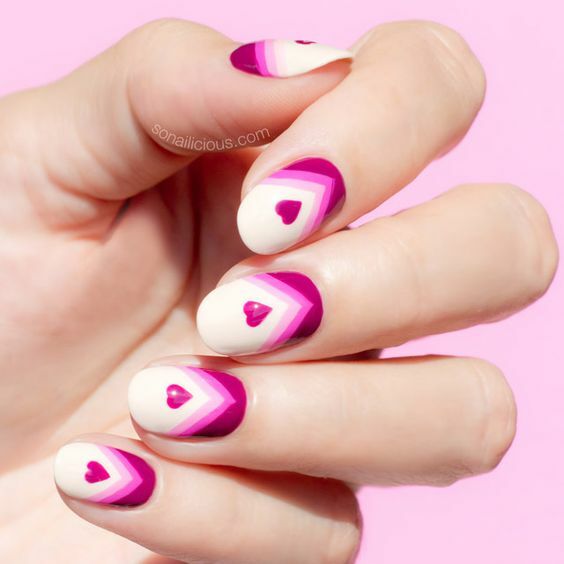 So, since the next great holiday that is just around the corner is the Valentine’s Day, today we want to get you inspired of how to do your nails for this day. 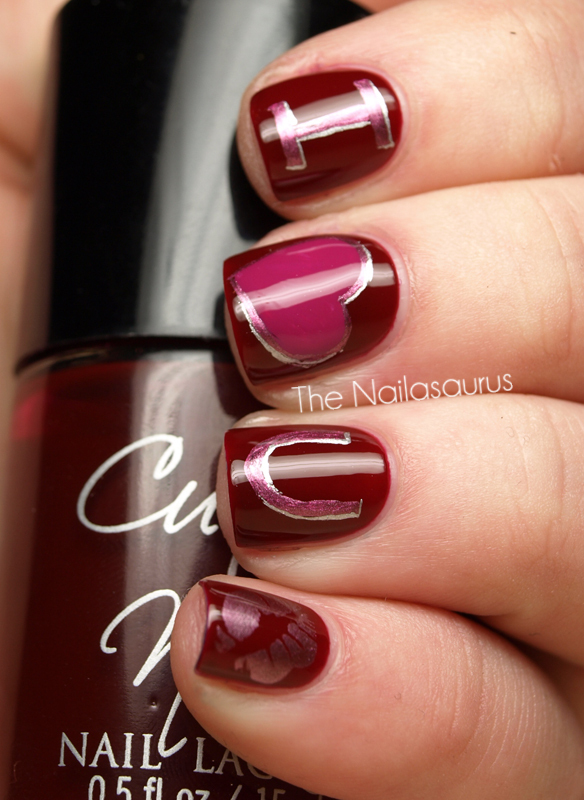 This is the day for celebrating your love, so some heart nail designs are the best choice. We have picked them to be quite versatile, so that each one of you can get inspired. And although red is the color that is associated with heart, you can also chose any color you like your nail design. 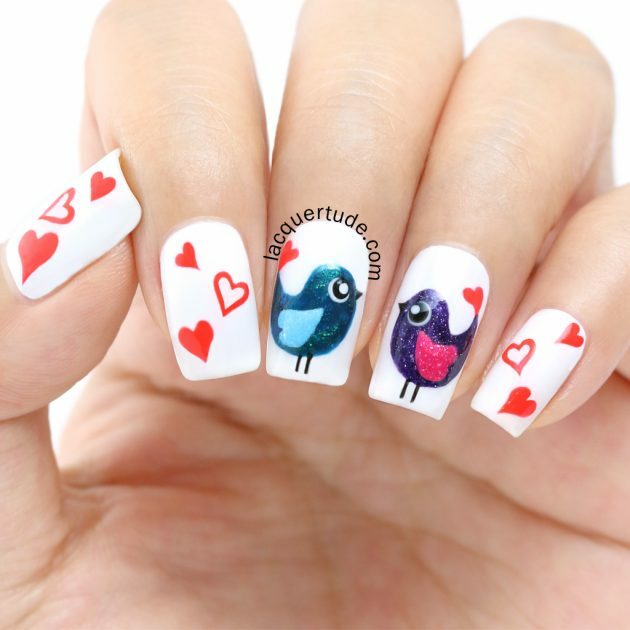 You may go for some simple one, that features only one accent nail where you will draw some heart. Or maybe you can draw a nail on each nail or maybe even a couple of them. 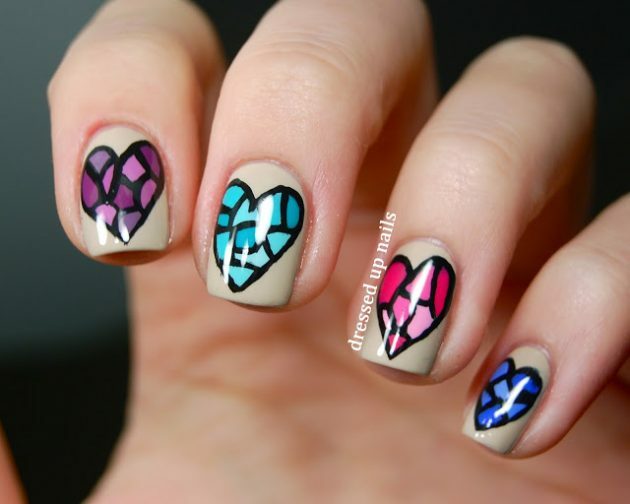 But go ahead and let the photos do the talking and choose which one from these heart nail designs you will try to copy. Enjoy! 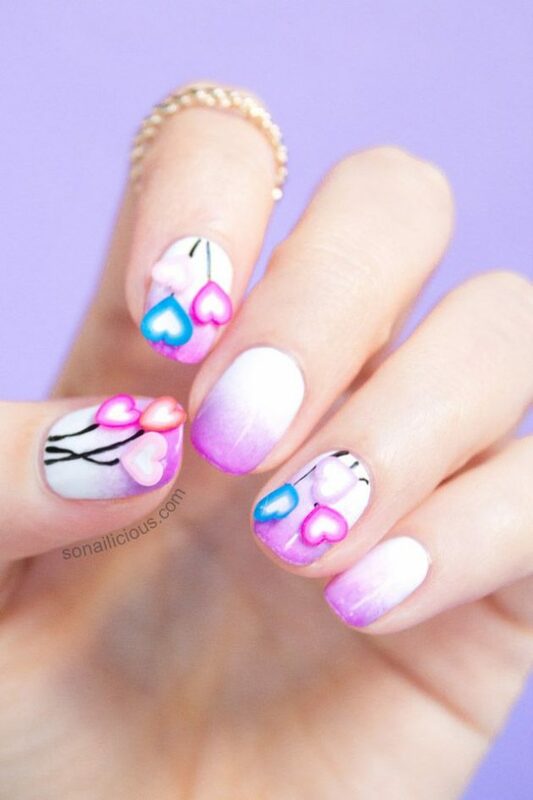 Hearts are not difficult for drawing on nails, but if you think you cannot draw them precisely, then maybe you can get some heart nail stickers. 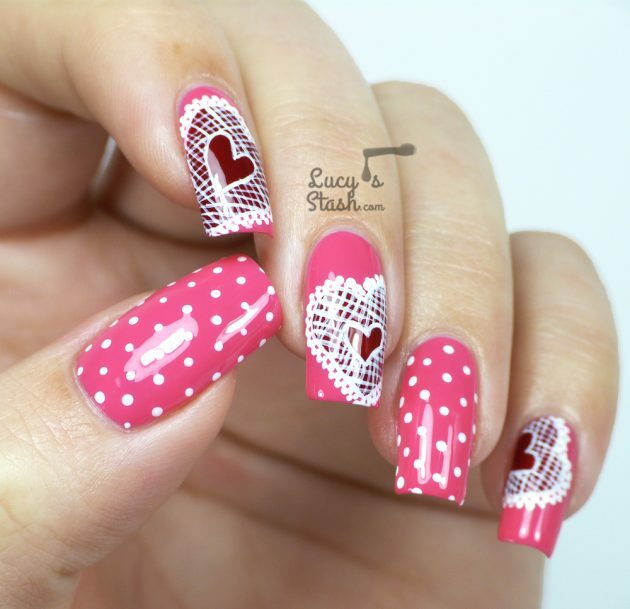 Or you can even find some studded heart embellishments that you can easily apply on your nails. 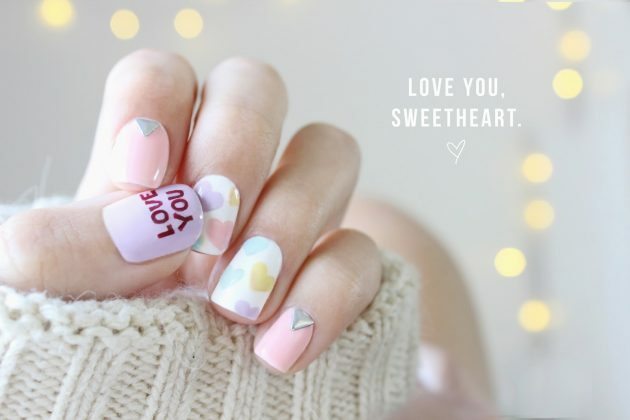 Besides hearts, you can also include some love letters on your Valentine’s day nail design. 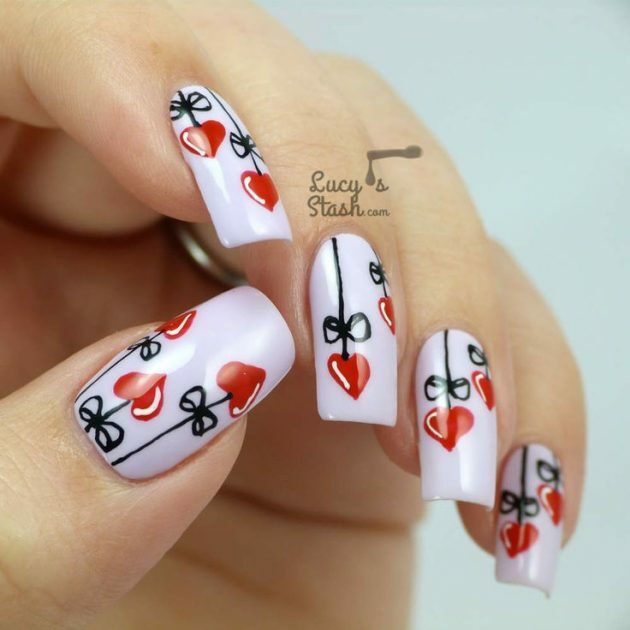 As you can notice, you can create versatile heart nail designs. 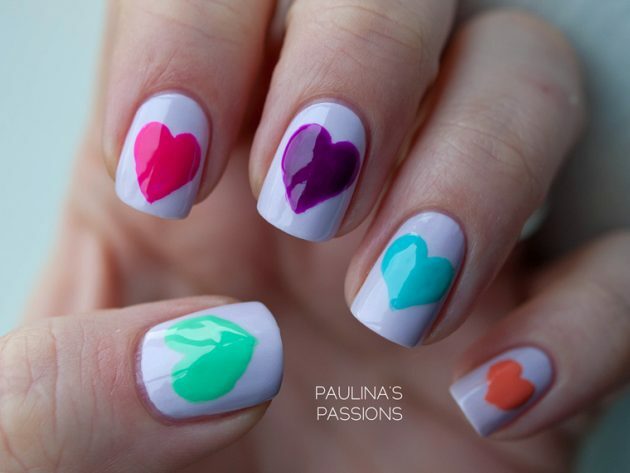 You can use any colors you like, just make sure you pick a contrasting shade for the heart design, so that it can be more defined. And when it comes to the type of nail polishes, glossy ones are of course your most common choice. You can even add some glitter, but if you are on the go, then a matte nail polish is the best choice since it can dry super fast. 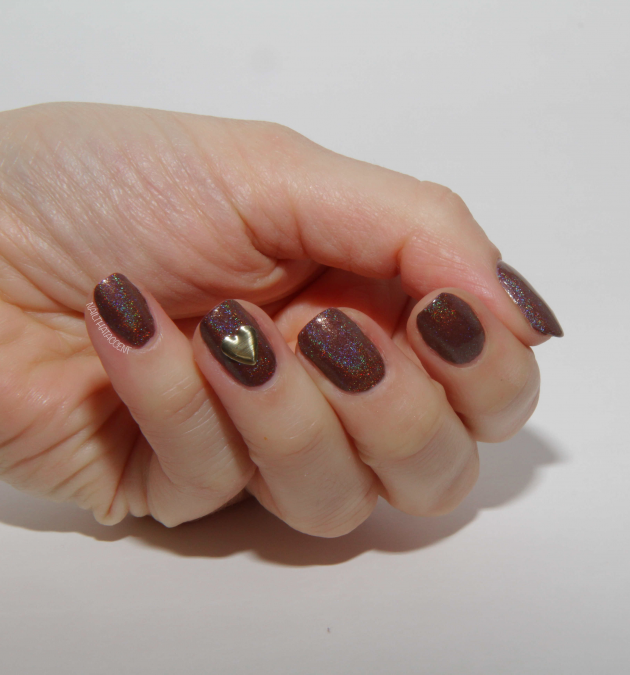 So, which one from the above heart nail designs did you like the best? Tell us in the comments and do not hesitate to copy them for this Valentine’s Day. And of course, stay up to date with the content of Fashionsy to find many other nail designs for your inspiration.